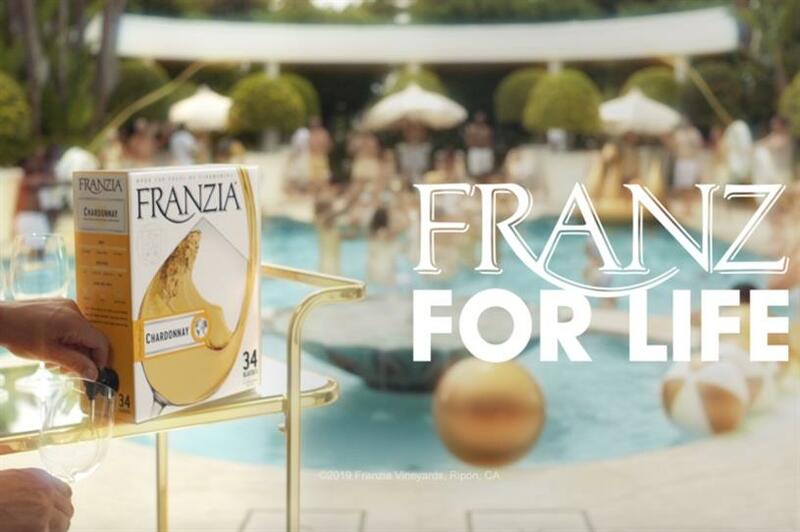 Boxed wine company Franzia is looking to reach millennials in its new campaign, which uses an adapted version of the "Golden Girls" theme song to highlight the importance of friendship – or "Franz-ship." The new spot, created by Mekanism San Francisco, is part of the first creative initiative for Franzia in more than 35 years. By leveraging the "Golden Girls" theme song "Thank You For Being a Friend," the brand hopes to keep its existing cohort of aging millennial brand fans. "We want to be sure we’re growing with our consumers at all stages of life. This new campaign is designed to reach millennials and encourage them to grow with the brand and be 'Franz for Life'. It reinforces the message to consumers of all ages that Franzia can be enjoyed at any age," said Jeff Dubiel, CMO of Franzia parent The Wine Group. Mekanism Creative Director Matt Stanford said: "In early interviews, we found that a lot of lifelong friendships have started around a box of Franzia. We were looking for a big, anthemic way to bring that story to life and our creative team (many card carrying Golden Girls enthusiasts) naturally gravitated towards the theme tune for the most famous lifelong girlfriends in television history." Stanford added that Mekanism was attracted to Franzia initially because it’s a brand with "cheeky self-awareness." Along with the new campaign, Franzia has modernized its packaging and introduced new products, including its new smaller "Little Franz" offering. Epic Signal, Mekanism’s in-house social media agency, is also re-launching Franzia’s social media platforms and pushing an influencer campaign. So, why "Golden Girls" over shows like "90210" or "Saved by the Bell?" Stanford told Campaign US that the brand is talking to 21 to 34 year olds who are doing their best at "adulting." "While this group didn't grow up with the Golden Girls, that show still has a massive presence on the Internet and in pop culture. We didn't consider any other theme tunes because, let's be honest, all other TV themes pale in comparison to that OG-GG track," Stanford said. The Wine Group’s Dubiel added that the brand wants to grow up with its consumers and showcase that fans of all ages can be "Franz for Life."